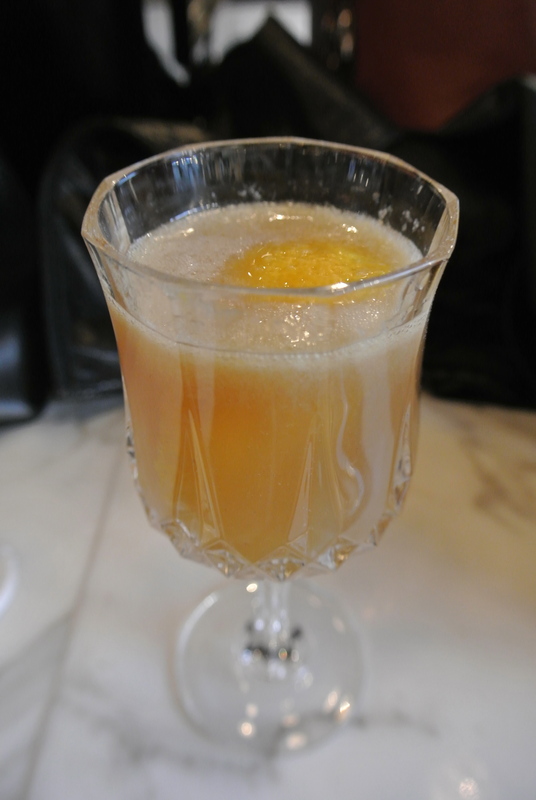 This restaurant is perfect for the cold winter nights of Toronto. The bright yellow doors with the name in bright lights lures you in from the street. When you enter the first thing I notice is how dark the space is and as your eyes adjust to the indoors I take in the surroundings. The best way I can describe it is, log cabin chic – although I’m not sure that’s the look the restaurant was looking for. 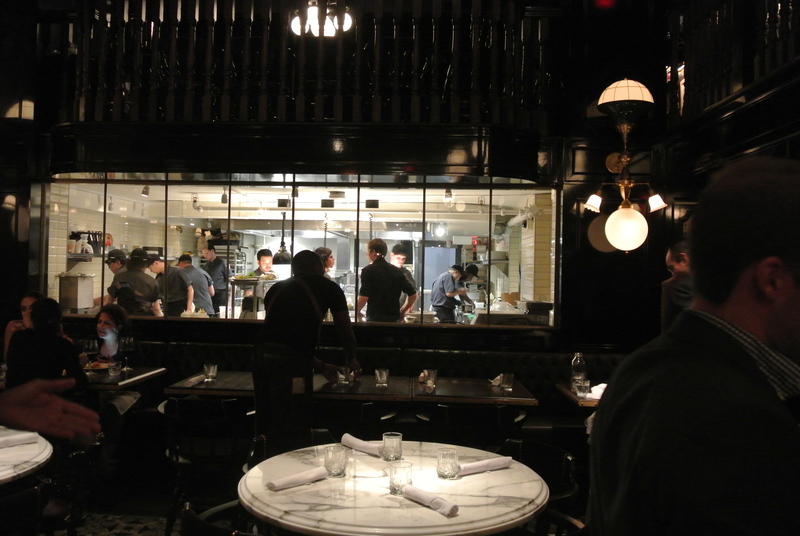 You can see the stuffed animals adorning the charcoal grey walls and the bar, very “wild west saloon” inspired. 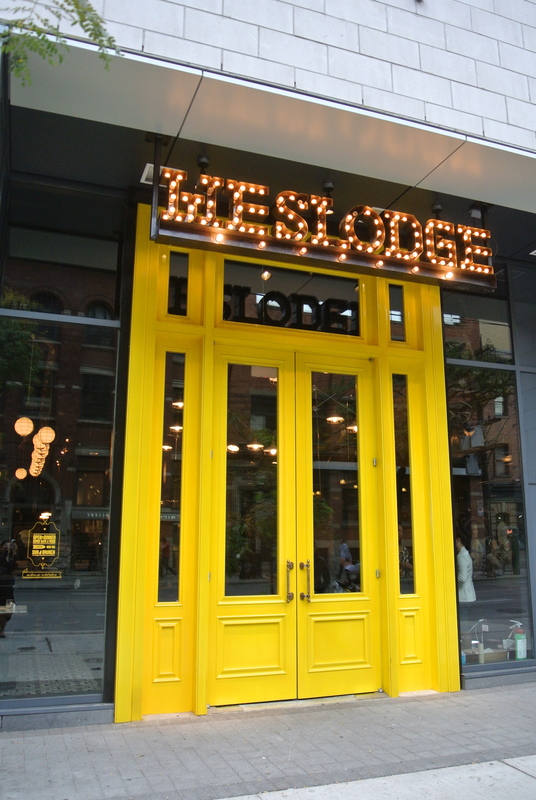 You can definitely feel the buzz of Weslodge and the food deserves it. 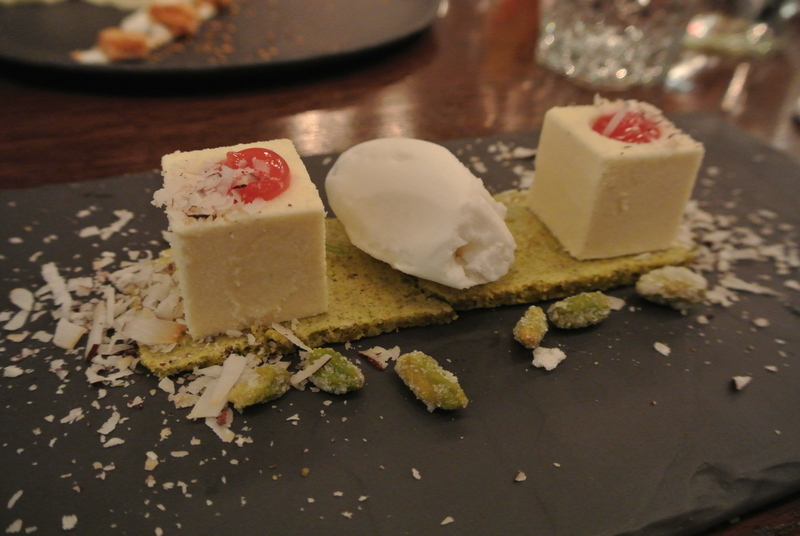 Our dishes were bold with lots of strong flavours, nothing delicate about these other than maybe the dessert. I would go again, especially for a few drinks! 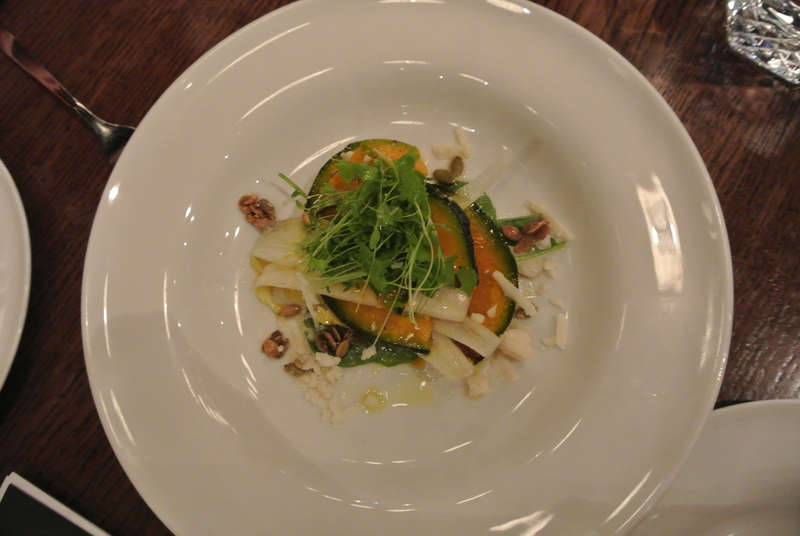 Our appetizer – Kabocha Salad with Chevre Noir. 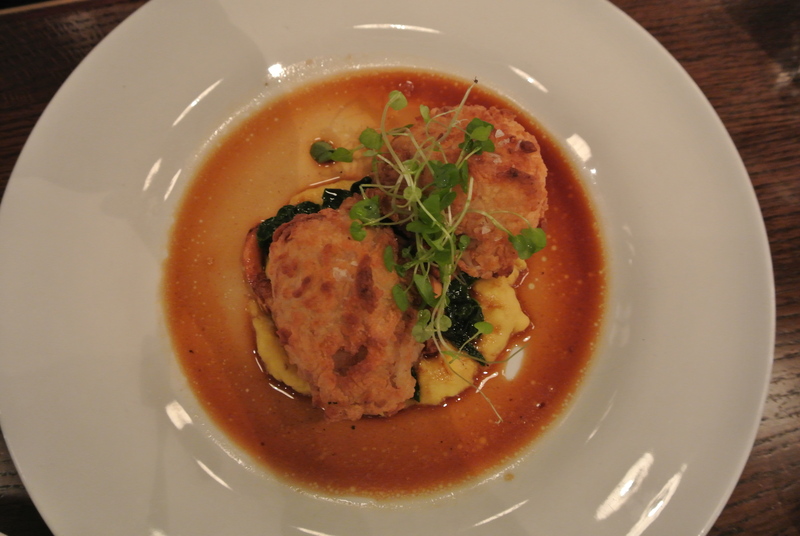 Main dish – fried bourbon cornish hen with chantrelles, kale and corn. 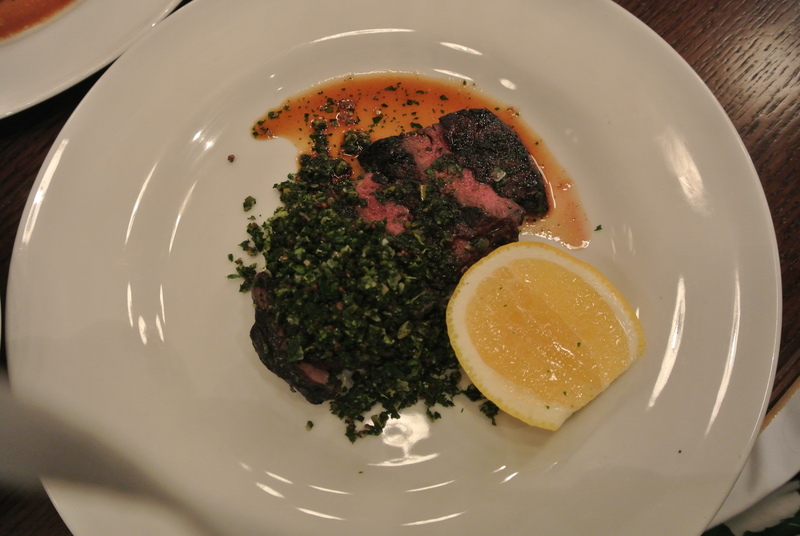 My main dish – Bison striploin with green olive tabouli. The bison was tender and perfectly grilled – it was delicious! 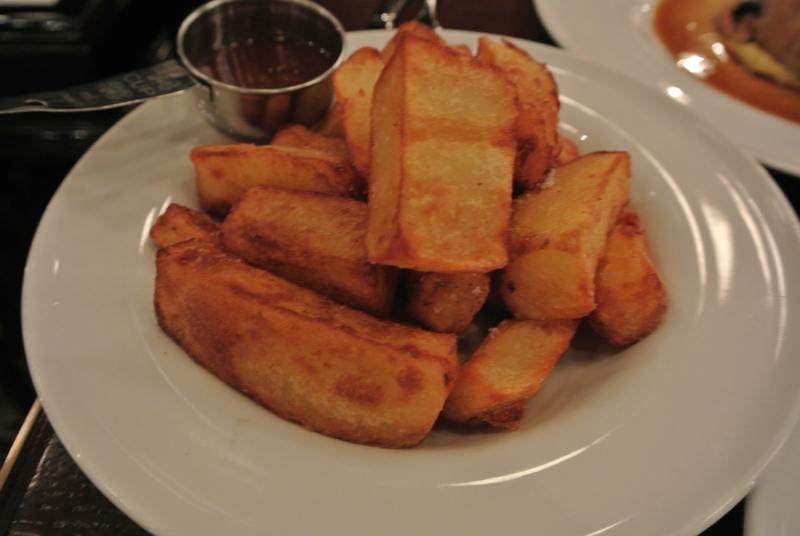 My side – chunky potatoes with a sweet maple dipping sauce. It was a great sweet and salty combination. Dessert – almost deconstructed in concept. 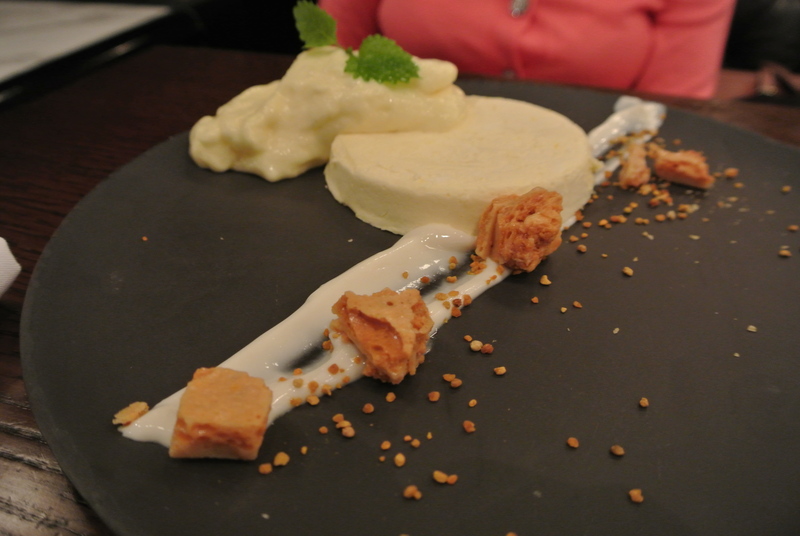 Dessert – Panna Cotta with broken pieces of brittle. Open style kitchen – almost distracting you from eating. 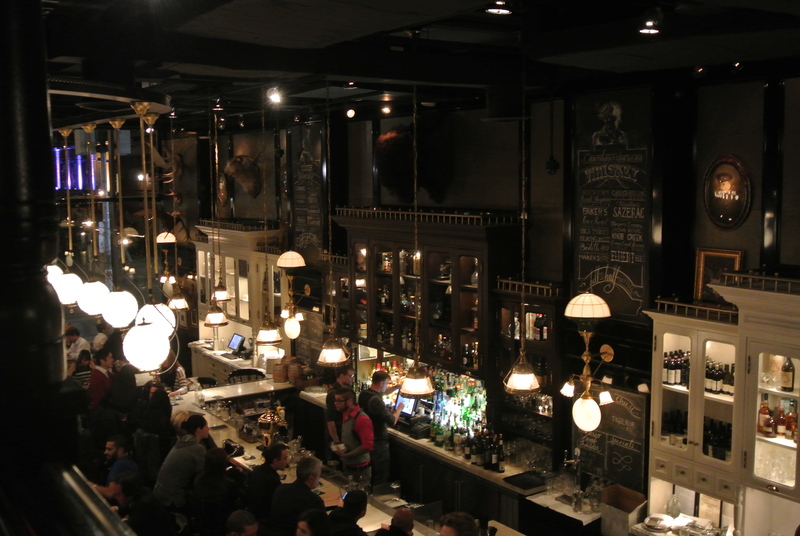 View of the bar from above – you can see the influence of the “old west” in the cabinetry and hardware details.